Sandy man faces new charges, possible death penalty in death of daughter/ Donald Cockrell convicted of murder by abuse in death of 3-year-old daughter, Alexis "Lexi" Marie Pounder. Sandy man accused of starving and torturing his 3-year-old daughter was reindicted Tuesday and now faces the death penalty as well as charges that he gave narcotics to his children and those of his girlfriend. Donald Lee Cockrell, 28, had been charged with murder by abuse of his child, Alexis "Lexi" Marie Pounder. Clackamas County prosecutors added a charge of aggravated murder and five counts of unlawful delivery of a controlled substance to a minor. The drug Cockrell allegedly gave the children, oxycodone, is a commonly abused synthetic opiate. Cockrell's girlfriend, Michelle Nicole Smith, 25, pleaded guilty to earlier this month to aggravated murder. Smith agreed to testify against Cockrell and will serve a minimum sentence of 30 years in return for her plea and cooperation. She will be sentenced when the case against Cockrell is completed. Smith appeared before a grand jury this month. Her statements apparently led to the new charges against Cockrell. Smith and Cockrell have one child and each has two children from prior relationships. All five children lived with the couple. Lexi Pounder was found dead in her home Jan. 9 of "blunt force trauma and acute starvation," according to court documents. Several law enforcement sources familiar with the death said it was the most brutal child murder they have seen. The state Department of Human Services took temporary custody of the surviving children. I just wonder if this sweet baby had that same problem? rebel belle! Unfortunately, I am not able to answer your question. Her ears do see a bit "pointy", but I can't find the name of the syndrome. Good observation, though. LM, thanks for posting that touching video tribute. What a precious little girl & what a sad ending to her young life. I hope those two "monsters" (parents) will be soon be brought to justice! BJ, thanks for the updates on this tragic case! I'm glad to hear that "justice" is finally on it's way (although the girlfriend should also be eligible for the DP, IMO). I am glad that the remaining four children survived & will hopefully be well-cared for in a good home. I still don't understand how the grandparents (who apparently lived upstairs) could have not seen the abuse, and if they did see it... why they didn't do anything about it?!? Developmental delays, learning disabilities, and behavioral problems are also possible, although these characteristics vary among affected females. Upthread I posted pics of the home the family lived in. It was for sale so there were pics of the home on the internet. 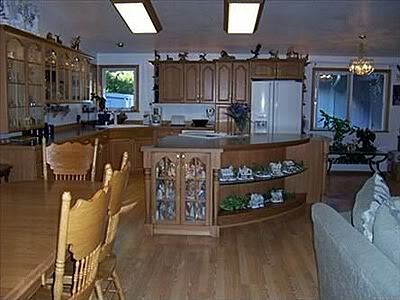 It doesn't look like the a place that drug abusers or child abusers would be living in. Check it out. I wonder if the grandparent were aware of what was going on in that house? 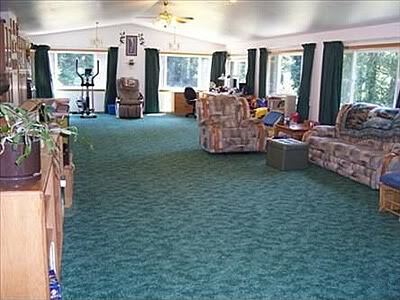 it looks like a mobile home in the first pic of the living area, which is odd to me. rebel belle, good job finding that info! I agree that the low set ears are the only symptom I can see that would relate to the syndrome. I am not sure what went on in that home, but the horrific way that she died is unexcusable!! BJ, it does look like a nice home - not sure why the parents were so abusive. Someone earlier posted that the mother looked like a crystal meth user - if so, that would probably explain (but NOT excuse) a lot of things!! OMG, I have nothing else to say about all this!! Been watching it all unfold on TV! Makes me want to drive to P-town and take them both down!!! Here, mommyof3kids, take this with you. 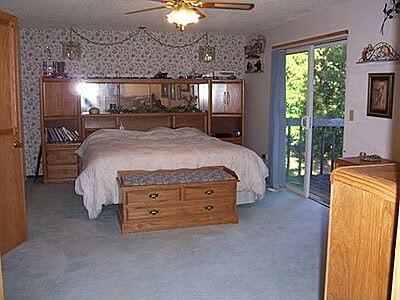 rebel belle wrote: it looks like a mobile home in the first pic of the living area, which is odd to me. Hi rebel, It could be a mobile home. I lived in Oregon and it's fairly common to put a mobile on your property and add on rooms, build porches, second stories, etc. until you can hardly tell it's a mobile at all. They look like regular, ordinary houses. It could be a mobile home. 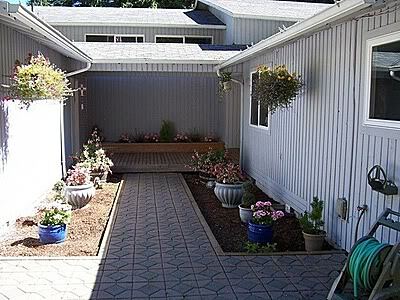 I lived in Oregon and it's fairly common to put a mobile on your property and add on rooms, build porches, second stories, etc. until you can hardly tell it's a mobile at all. They look like regular, ordinary houses. Same thing here in Texas. This is a hard thread to read. This is a Mobile/Manufactured located at 22010 Se Cottontail Drive, Sandy OR. The property was built in 1994. I think it's pretty cool that they can do that. Saves alot of money and it's ready to live in. Back on topic, I just don't understand how anyone could treat a little child like that. Their own or anyone else's. When mine were little babies I'd have them laying on my thighs cradling their head in my hands staring at them while they sleep and just marvel at their beauty and at how fragile they were. It scared me. I knew I'd have to always be there to take care of them and not let anything or anyone ever hurt them. Thanks so much, aaawhite. This is SO strange. I was thinking of this case this morning..remembering how the grandparents had that luxury home and the daughter was living next door and those grandparents are evidently blind and deaf?? A Clackamas County jury convicted Donald Lee Cockrell Friday of multiple counts of murder by abuse and criminal mistreatment in the death of his 3-year-old daughter, whose battered and severely malnourished body was found at Cockrell's home in Sandy. Cockrell, who did not testify, faces at least 25 years in prison when he is sentenced at a later date. The jury found him not guilty of aggravated murder, which could have brought the death penalty. Cockrell's fiancee, Michelle Nicole Smith, testified against him as part of a plea agreement. Smith, who admitted causing some of the girl's injuries, pleaded guilty last year to murder in the girl's death and faces a minimum of 30 years in prison. Paramedics found Alexis Marie "Lexi" Pounder dressed in zip-up pink pajamas, lying on her back, her severely underweight body layered with bruises and scrapes, on Jan. 9, 2010. Blood vessels in Lexi's eyes had burst, leaving her eyeballs red. An autopsy concluded Lexi was the victim of homicide and battered child syndrome. She died of pneumonia and dehydration. The autopsy report detailed "dozens and dozens of injuries to her tiny, tiny body," said prosecutor Christine Landers. Smith admitted inflicting some injuries and blamed some on Cockrell. Defense attorneys placed responsibility for the girl's death squarely on Smith. "She's very sophisticated at covering her tracks," said defense attorney Robert L. Huggins Jr. Cockrell entrusted the care of his daughers to Smith, Huggins said. "All the evidence is Michelle did it." Landers said Cockrell tried to blame everyone except himself. He blamed Smith, the doctors who unquestioningly provided her with prescription drugs, Smith's daughter and even Lexi for having an eating disorder. "His disregard for his child as she deteriorated was reckless and indefensible," Landers said. Had Cockrell taken Lexi to the doctor the night before she died, she would be alive today, Landers said. "It was the last time he failed his daughter," Landers said. Cockrell's trial lasted nearly a month, drawing from a witness list that included dozens of detectives, doctors, family members, social workers. Prosecutors opened the trial by sketching Lexi's short painful life. Lexi was one of five children who lived in the blended family. Smith and Cockrell, who met in 2008, each had two children from prior relationships and had one child together. The family lived in a messy 700-square-foot mother-in-law apartment at Smith's parents' home in a rural area near Sandy. Lexi's life was one of constant discipline and shaming. She was incontinent and always in trouble for soiling herself. When the family went to a fast food restaurant, Lexi would be the only one who didn't get a meal. She was forced to sleep on the floor or to run as a punishment. In the days before she died, Lexi had diarrhea and dry heaves. Jurors got their first look at Lexi Pounder as Landers showed them photos. Lexi a happy infant, as a bruised toddler, as a skinny naked body on the medical examiner's cold metal table. Cockrell could not claim ignorance, said prosecutor Christine Landers. Lexi weighed 21 pounds when she died. At the time, her 9-month-old half sister weighed 19 pounds. "He picked up both of those girls," Landers said. As Lexi wasted away and endured spankings and slaps that left her body tattooed with bruises, Smith had decided to part company with Cockrell. She testified that she stopped caring about him, his children and the condition of their small apartment, which one investigator decribed as "an awful mess." Meanwhile she became fixated on maintaining her supply of oxycodone and other painkillers. Lexi's sister, Kara Pounder, also suffered, prosecutors said. She rooted around the kitchen, where the sink was piled high with dirty dishes, eating food off the floor or out of the garbage, Landers said. Cockrell and Smith forced Kara to sleep in a small escape-proof space, wedged between a couch and a wall. Cockrell did nothing to save his children from their beatings, Landers said. He stood by while Lexi vomited so violently that the whites of her eyes turned red as blood vessels ruptured. "That is not a normal childhood illness," Landers said. When Lexi died at the age of 3 1/2, she weighed as much as an average 15-month-old child. She was beaten and underfed, prosecutors said, and died when her immune system collapsed and she couldn't fight off pneumonia. When a detective interviewing Cockrell asked what happened to Lexi, "he has no explanation of why his child was dead," Landers told the jury. His answer was that "I woke up and found my daughter dead." The defense repeatedly attacked Smith, portraying her as an unreliable, unstable woman addicted to painkillers who cut a deal to avoid a possible death sentence. "Michelle Smith's testimony has been bought and paid for," said defense attorney Jenny Cooke. Cooke characterized Smith as drug-addled caregiver "so stoned she couldn't see straight and an incompetent witness who couldn't remember much beyond "Donnie did it." Cooke said torture and mistreatment did not kill Lexi Pounder; the girl was ill and developed a pneumonia that took her life. The child had been losing weight but that wasn't apparent to Cockrell, Cooke said. Some bruises and abrasions were caused by routine childhood accidents or by one of Smith's children jumping on Lexi's head, Cooke said. "There is no evidence anyone subjected Alexis Pounder to torture" or that Cockrell withheld food or knew the girl required immediate medical care, Cooke said. "She did not die of blunt force trauma" and her injuries did not cause her death, Cooke said. Landers summarized Cockrell's defense as "I never took care of my children. How could I know" Lexi was in such fragile condition. "Because of the way she looked," Landers said. "Seventy five bruises on her tiny little body." The remaining children have been placed with relatives. Lexi's mother, Heather Pounder, has custody Lexi's sister, Kara. Michelle Smith's parents have custody of the other three children. OMG!! This is simply horrific!! This poor child suffered because her parents and family simply did NOT care. The drugs were more important!!! WrapItUp - the Grandparents did not know because they were denied access because the parents did not want the grandparents to know they were using. They (the grandparents) moved out of the home right after this - the grandmother said she could never live there again. They do have the 3 siblings, who are now well cared for and loved. Really, the dad should have gotten the Aggravated Murder conviction - he was drugging the kids so they would leave him alone. But no one can prove it except Michelle (the girlfriend) and given that she has made a deal, her testimony is suspect. But at least he will spend a lot of time in jail. My God I had forgotten about this story! This is horrible! Those poor little children. Both parents deserve life. Terrible. MOO. Thanks for the update! I live in Portland and it's good to know that someone is paying for this crime and that the other children are safe. I've been sorely disappointed at the lack of coverage of this - there was coverage when it happened, and lots of coverage of Michelle's plea bargain, but the trial and verdict barely made the news. I had to SEARCH for the verdict on line because I knew the jury was deliberating. They were out for a week! I live outside of Portland, and it has been more important to cover that there is going to be a new bridge built and a bunch of other stuff than to talk about this precious little girl. That is so wrong! This little girl should have been top news from beginning until now. I'll never understand the media. I cross the Sellwood Bridge Slipping Selma several times a week so I am grateful to see the new bridge being built. But I totally get what you're saying!